Photographs by Theo Simpson. Text by Tom James. If you go looking for something, chances are you’ll find it. 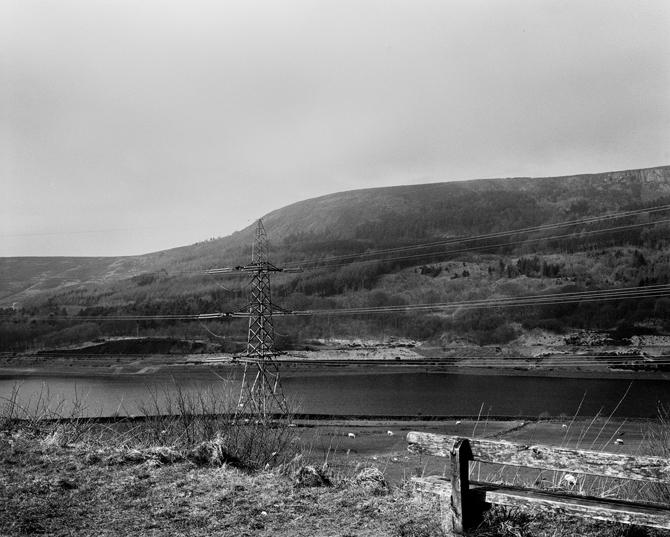 Longdendale is a valley in the Peak District, a national park in the north of England, which straddles the hills that form the country’s spine. The valley runs west, from the bare tops of the moors down toward Manchester, and for the most part it’s fairly typical of the Peaks. There’s the thick, dark line where the hills meet the grey December sky; the dull orange-brown of the dying-back bracken; the threadbare grass for the sheep to graze on; and the soft green moss on the bare tree trunks next to the road, like pyjamas on an old man. But on my visit, I didn’t notice any of this. 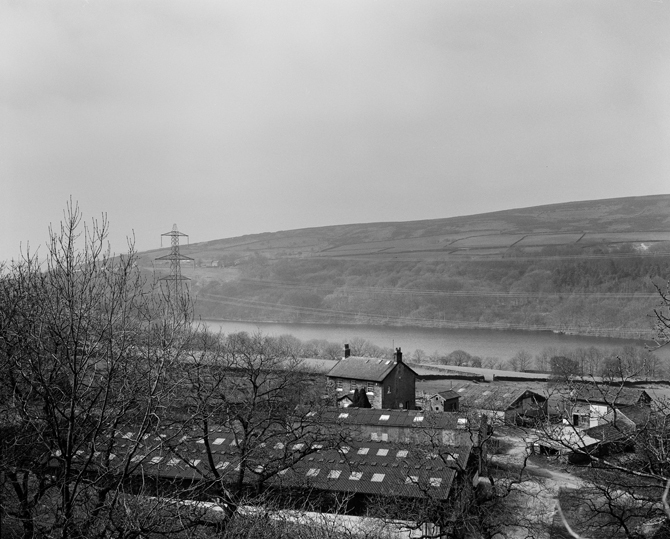 Because Longdendale is also home to something else: a chain of electricity pylons, 100 feet tall, which march down the valley for six miles, and which, in 2014, were officially diagnosed as amongst the ugliest in Britain. It was these that I’d come to see. The shortlist had been drawn up by the UK’s electricity supplier, the National Grid. They’d set aside £500 million from the nation’s energy bills, towards removing the “biggest and ugliest” pylons in some of the country’s most well-known beauty spots. 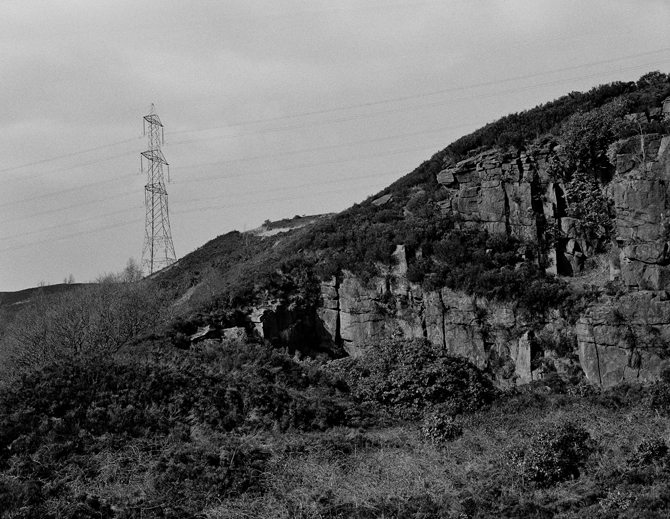 This was a perverse, reverse beauty contest, with a tantalising prize for the affected communities: the winning wires would be hidden, buried in a process known as “undergrounding,” with only a small scar to remind the land that they were ever there at all. Throughout 2015, the valley held its breath. 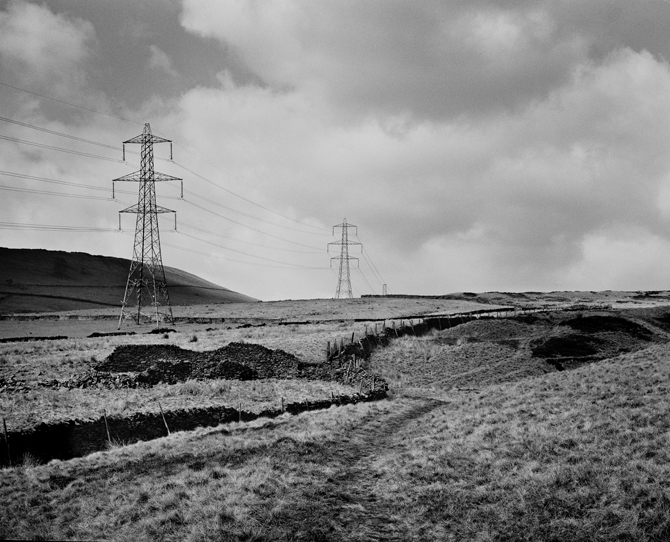 The line bursts out of the ground near the top of Longdendale, having travelled through the peaks in an old railway tunnel. 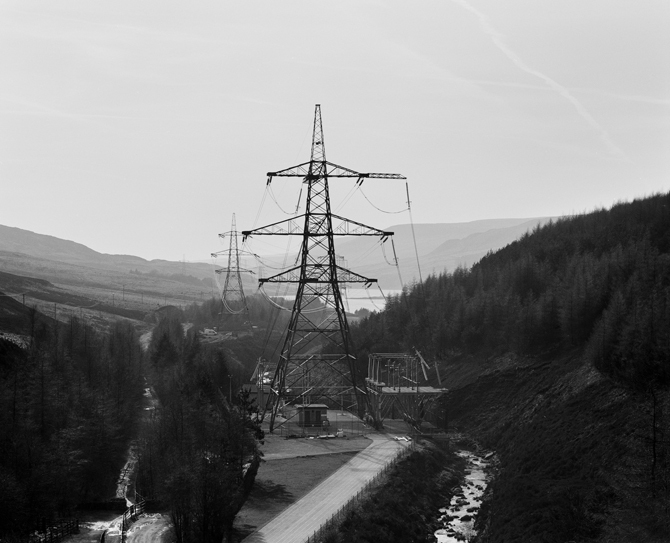 The wires leap into the arms of the first pylon, and are then carried aloft down the valley in a permanent procession, celebrating the miracle of electricity, and the heroism of the men who mined and forged and erected these structures, to bring power to these hills. Are they ugly? This being an architecture journal, you might expect an impassioned plea in their defence, or an outraged demand for local people to change the way they think. It’s true: the pylons themselves are quietly beautiful. They’re pure structure, with no embellishment, their latticed form somehow rendering them as subtle as it’s possible for 100-foot high metal structures to be. They look like rocket towers, launchpads of progress. Viewed head on, they almost disappear. But the wires are a different story. Hung against the backdrop of the hills, they’re hard to make out. Like the puppet strings in the Thunderbirds, you can just about ignore them. But where the horizon falls away, and the wires are strung against even this grey winter sky, they’re much more visible, like washing lines between concrete buildings. 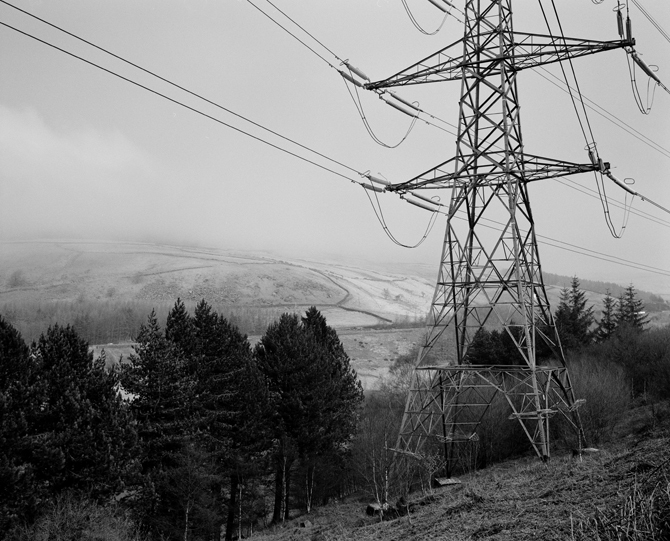 And when the line turns abruptly right over the reservoir, and the pylons march up and out of this valley, and into the next, the wires are all you can see. You only have to look the other way to see what local people could have won. The other side of the dale is soft, brown, and simple. Wood smoke from an isolated farmhouse hangs lazily overhead. Death-defying dry-stone walls sprint uphill. Tributaries run down tight, folded valleys, to the reservoirs below. You have to admit, it would be a lot prettier. It’s easy to imagine an influx of tourists, walkers, and afternoon-tea takers. And if you opened your kitchen curtains every morning to see them, perhaps you’d want rid, too. Yet there’s something more than aesthetics going on here. The wires and the pylons are not optional extras: they exist to provide the power that local people want and need. Power for homes, schools, pubs, and shops; for traffic lights, water pumps and sewage works; for bathroom lights, reading lamps, the big light in the kitchen. Power for fridge-freezers, kettles, and toasted-sandwich makers; for televisions, Skyboxes, broadband routers, and laptops; for hair-straighteners, Nespressos, electric toothbrushes and smoothie makers. Power for iPhone sixes, Xboxes, Kindles, and fitness trackers. Power for those tiny, pointless, flying drones, to briefly amuse the man in your life on Christmas Day. The pylons make life possible, make it easy, make it boring. And, somewhere, further down the line, the power stations that feed them leach carbon into the atmosphere, or create nuclear waste that no one has ever known what to do with, and which no one ever will. These pylons are the modern age incarnate, the twentieth century in one simple metal structure: noble but wasteful, easy but ugly, a heroic feat of engineering that we don’t want to look at anymore. And this isn’t just the case for the residents of Longdendale, but for all of us, town and country, the UK and beyond. We want the benefits of modern technology, of “inexpensive progress” as John Betjeman sardonically termed it, but we don’t want to have to see it. We’d rather let someone else do the dirty work, mine the coal, make the steel, assemble the iPhones, work at the megadairy, further down the line. Out of sight. Out of mind. 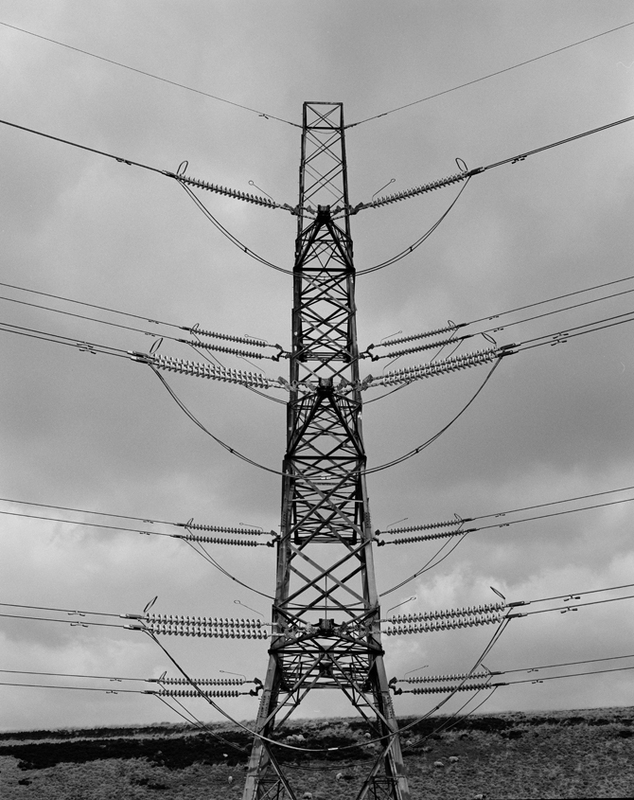 In September 2015, the National Grid announced which sections of pylons they’d be burying. 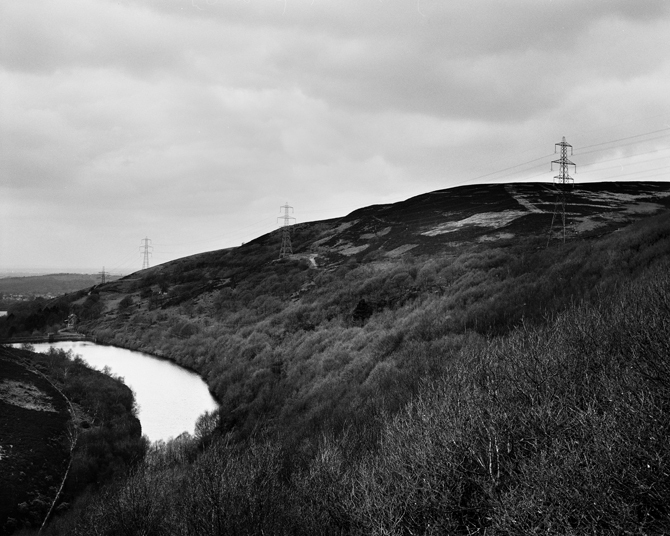 As it happens, the Longdendale wires weren’t deemed quite ugly enough. Another stretch, just over the other side of the Peaks, will disappear, but these ones will remain. Apparently, they’re still on the list, for consideration at some future date, when another £500 million is available. Second prize in an ugliness competition. Don’t call us, we’ll call you. Are they uglier now that they’ve been deemed as such? Are they harder for local people to look at, now that their hopes have been raised, and cruelly dashed? Would we prefer a world without our fitness trackers, our evenings idling in front of the telly, our Skype calls to distant relatives, if it meant we could be rid of them? Do these towers spoil the valley? Do we? 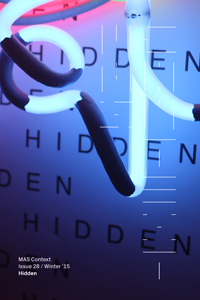 Tom James is a writer, self-publisher, and artist based in London. His projects have included imaginary tourist boards, fanzines about cities, and a heroic-but-doomed attempt to reuse a pair of abandoned cooling towers as spaces for public art. His work has been featured across the British press, and his fanzine project, GO, is held in the permanent collection of the V&A. He’s currently producing a DIY guide to surviving in the bitter, barren future we’re creating for ourselves, which is a laugh a minute. Theo Simpson lives and works in the South of England. 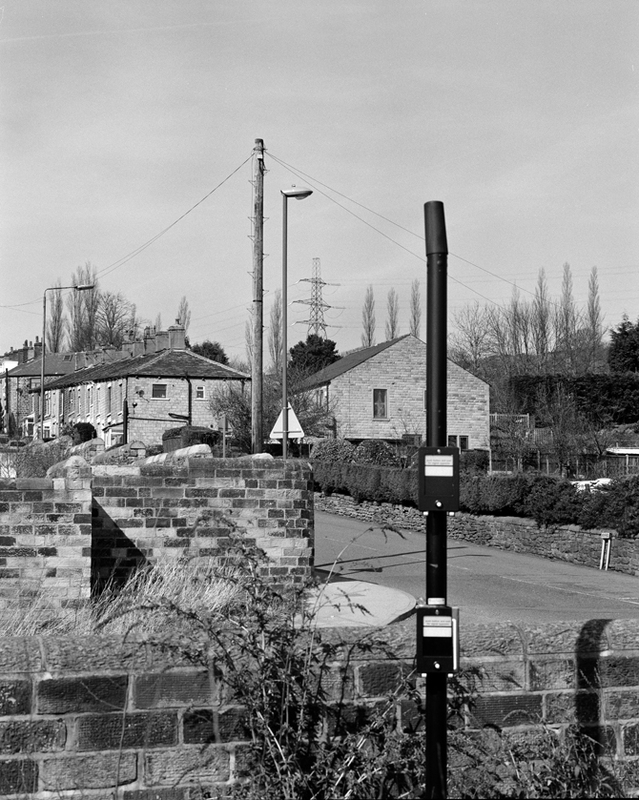 His works examine and document British material culture and heritage through the examination of the built environment, vernacular architecture, and objects of the everyday. Simpson’s work has featured most recently in Shooting Space: Architecture in Contemporary Photography (Phaidon, 2014) and exhibited at RIBA in London. His work is also held in various international public collections including the V&A National Art Library, Fotomuseum, Winterthur, and the Tate Artists’ Book Library.